FANCY A GOOD OLE SING'n'STRUM-ALONG? Why not join our Friday Strummers group?! We play songs old and new in an informal and fun atmosphere, where all abilities are welcome. Just ensure you can play C, F and G7! 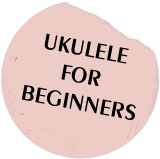 Emphasis is more on singing and having fun than honing in on your uke skills. Of course, feel free to ask questions if you wish to learn a new skill, but similarly if you just fancy sitting and playing with no fuss and no-one looking over your shoulder, this one's for you! You can even bring some percussion if you fancy? One of our members has been known to bring her spoons and washboard along! You can come on a drop in basis and each session is £5 for 45 minutes, but please let Gemma know first if you plan to join in for the first time. Gemma can then inform you of the time and place it is happening. You will need to print out and bring the Friday Strummers Songbook which Gemma will email to you when you have contacted her. 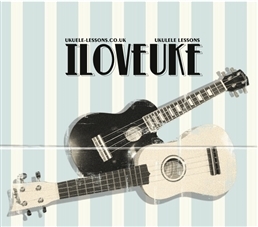 You can contact Gemma by email gemma@ukulele-lessons.co.uk, or via the 'enquire' link on this website. TAKE A LISTEN TO THE KIND OF SONGS WE DO!